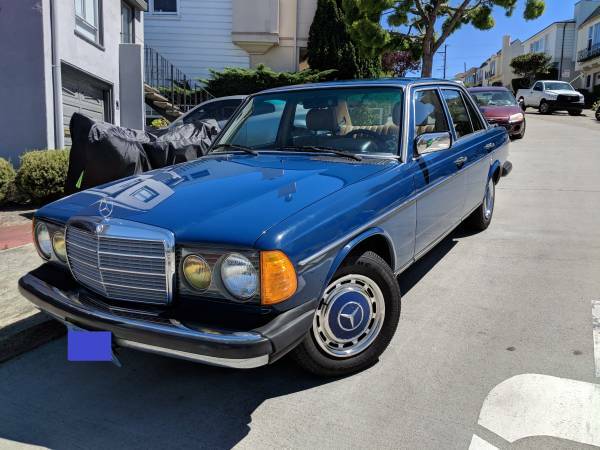 If you are after a retro 1980's driver that will not break the bank, a Mercedes W123 diesel sedan is a great choice. The 70 hp of diesel fury will not get you anywhere in a hurry, but the electric blue paint with coordinating hubcaps will win Miami Vice fans admiration. Like the W115 predecessor, the W123 did not lose the bank vault feel of quality and solid construction. The four circular headlights here will never go out of style unlike the ovals shaped lights found on the later W210's that look passe' already. 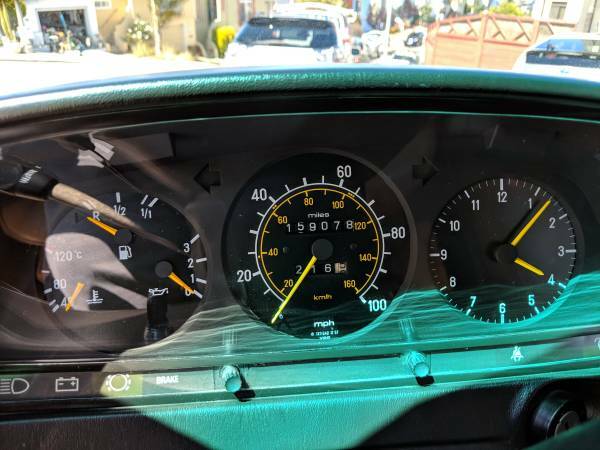 Find this 1983 Mercedes 240D for sale in Portola CA for $5,000 via craigslist. Tip from Fuel Truck. 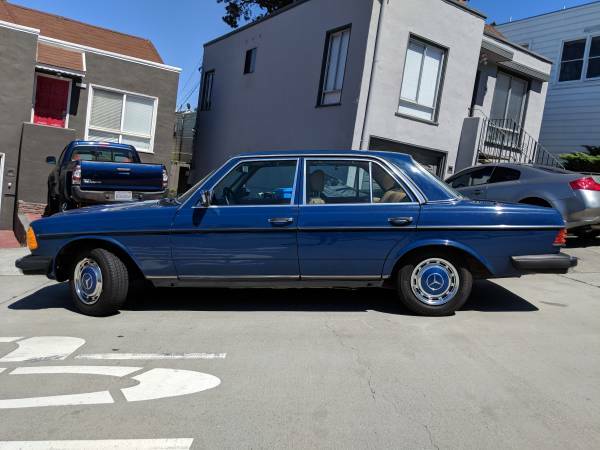 Beautiful 1-family owned 1983 Mercedes 240D. 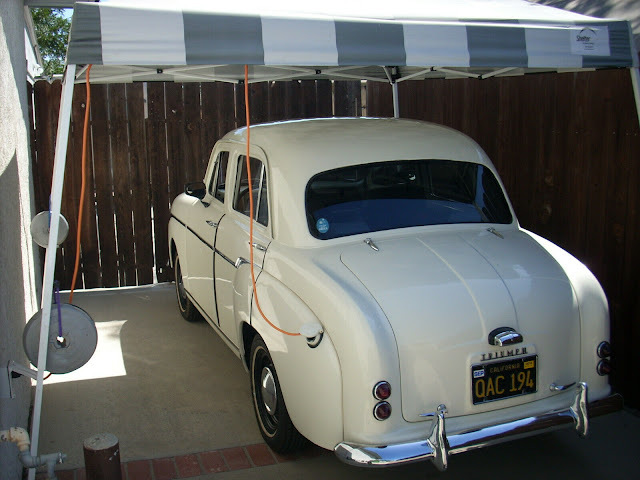 Car has been in my family since it was purchased brand new in San Rafael. This car has been stored most of its life and runs great for a car of its age. Overall the original paint is in great shape and you can tell that this car has been well cared for. It had been fully serviced and detailed in 2013-14 and comes with many new parts. Cosmetically the car has imperfections and wear and tear, but overall is in very good shape and could be detailed even further. There are some dings and scratches on the body, some of which have been touched up. There is only a small sign on rust on the sunroof, but its smaller than half a dime and the rest of the car shows no obvious signs. Please do not ask for additional pictures. If serious, please let me know and you can see it in person. -Roll up windows - cranks have been improvised. -Comes with car cover, OEM tools, Extra fluids etc. -Ebrake is fully functional but light stays on. I suspect that it is just a loose sensor. -Comes with lots extras such as emblem, fluids, oil filters, fuel filter, water pump, tools, full service manual, fuses, and more! No tachometer needed here folks! Just listen for the engine sound to hit a fever diesel pitch and grab another gear. The gauges here appears to be much expensive looking than the ones fitted on the Cadillac ATS that I saw at the NY Auto show this spring. You don't need a tach because you'll feel the end of the power band drop off a cliff. That's how my 524td works. After 4000 rpm you're not making any more power, just more noise. If I lived in California, I'd so drive this just to get out of smog. The PVC+ drawer knob for the window crank makes me chuckle. The speedometer has the shift points painted on it as little orange dots. Not that you need them for upshifts but more as something to keep an eye on when you are going uphill and want to know if you have slowed down enough to shift into a lower gear. Note that the dots make so much more sense as "when to downshift" points than "when to upshift points"
Acceleration from a standing start is best accomplished if you think of it as being powered by a gigantic flywheel that happens to have a small engine attached. I miss mine, killed by the Manhattan Mercedes Benz dealer over tightening the oil-filter leading to a catastrophic chain of events.